In the past 5 years or so, the need to “go green” has been emphasized to great effect in much of the world. Environmental efforts once seen as tedious and unnecessary are now recognized as vitally important, and this has led to greater consideration of energy and resource efficiency. While we still have a long way to go in terms of large-scale efforts to improve and preserve the Earth’s environment, there are more and more ways each year to do your part in your own home. So with that in mind, here are 5 tips for going green at home. Really, there’s only one noteworthy “smart” thermostat on the market, but it seems safe to assume more will follow. The Nest thermostat exists not only to improve your home comfort, but to heat and cool your home in the most energy-efficient way possible. The thermostat learns your preferences and habits, and automates itself to accommodate those preferences without wasting time heating and cooling the home when not necessary. This is one of the simplest, yet most environmentally helpful things you can do at home. If you have a garden, or even if you regularly maintain your own yard, consider setting up rain barrels to collect rainwater. This not only maximizes the use of water (as opposed to having to waste water by running a hose later), but also prevents environmentally harmful runoff from developing during rain storms. You can even find systems that allow you to organize watering systems directly from collecting barrels. This is another incredibly easy one-step method to a more environmentally friendly home. Simply switch out your lightbulbs to some that will use energy more efficiently and last longer. 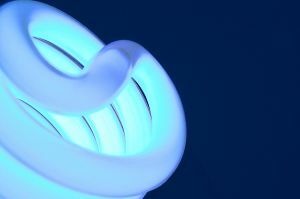 Visit www.mysmartbuy.com for a few great energy saving bulb options from Neostar. Some of the most needless waste we produce in our homes comes from grocery and shopping bags that we simply don’t need. Rather than wasting these materials time and time again, invest in a few reusable bags. At www.flipandtumble.com, you’ll find a number of neat options in different designs and sizes to accommodate your various shopping needs. Finally, there’s the tip you’ve heard a hundred times – but one more can never hurt. One of the most casually harmful things we do to our environment is driving cars short, unnecessary distances. Our cars emit harmful gases at rapid, destructive rates, and that means that even if you can cut back on that toxicity by just driving a mile less per day, you should do it. For your quick trips to the store, to see a friend down the road, or if possible to school or work, try your best to get used to cycling or walking. Of course, some distances demand driving – but when possible, avoid your car!